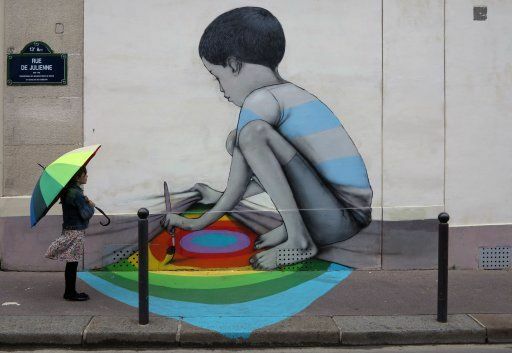 Julien Malland, Seth, his street artist name, lives and works in Paris. He is known for and specializes in the creation of simple characters, often childlike, connected in one way or another to the chaotic environment in which they are painted. A witness to the consequences of globalization, he celebrates tradition through his work and creates a cultural hybrid between modern techniques and traditional representation. Seth is host, author and producer of the series "Les nouveaux explorateurs" broadcast on the TV channel Canal+. He retraced two years of his travelling experience in a book, entitled, Extramuros.